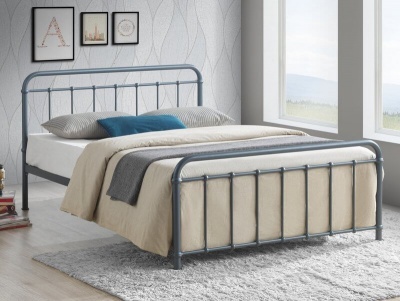 Square Georgian style metal bed frame with a modern twist. Ornate detailing has been replaced with a bold square design on the head and foot boards. 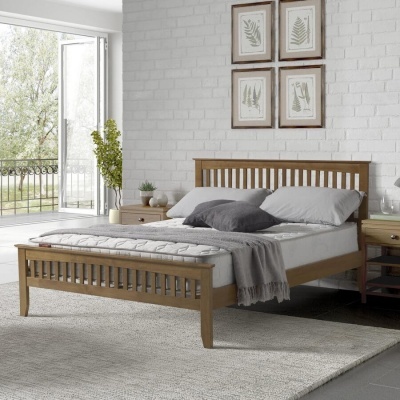 Large round finials and detailing to the feet add to the appearance of the Edward bed frame. Strong and sturdy build with a self supporting frame that does not require a central support. This provides you with more under-bed storage space. Available in black nickel or bright chrome finish.